Like any other place in your house, kitchen also requires special attention when it comes to décor its interior. The flooring, ceiling, slabs and the woodwork, everything has its own role in enhancing and maintaining the overall interior of this cooking place but another most important thing that completes the kitchen kit is ‘wall tiles’. Along with giving a chic look to your kitchen, wall tiles are also installed for their greater functionality. Being durable and water resistant, these tiles protect walls from the cooking splashes and water damages. The most commonly used tiles are ceramic or porcelain tiles; however, you can choose any other type according to the overall interior of your kitchen. Hiring an interior designer in Pakistan, you can make your tile choosing task much easier and faster because he, being professional, can provide you the best ideas and advice. Here are some tips, which can help you select the best tiles for your kitchen walls. Tiles are available in various sizes and shapes; however, you have to choose the one that has compatibility with overall size of your kitchen. If your kitchen is smaller, then buying 500×500 size tiles is certainly not the right option because it will make kitchen look smaller. Moreover, if there are too much of switches and sockets on the walls, then you will have to cut the tiles ultimately disturbing their whole design and look. On the other hand, in a larger kitchen, having bigger tiles is good option because it will make kitchen look spacious. Again tiles are available in a variety of materials but you have to choose the one that suits your needs and budget. For a traditional looking kitchen, ceramic or porcelain tiles are good; whereas contemporary or classy kitchens can have glass tiles available in different colors, textures and sizes. Whatever material you choose, always keep the functionality and durability purpose in view. Check whether the material you chose is resistant to heat and water. Color selection also requires special considerations like you have to consider the type and color of the cabinets, counters and other things placed in your kitchen. Whether you are going to choose contrasting or matching colors, you have to maintain an overall compatibility. 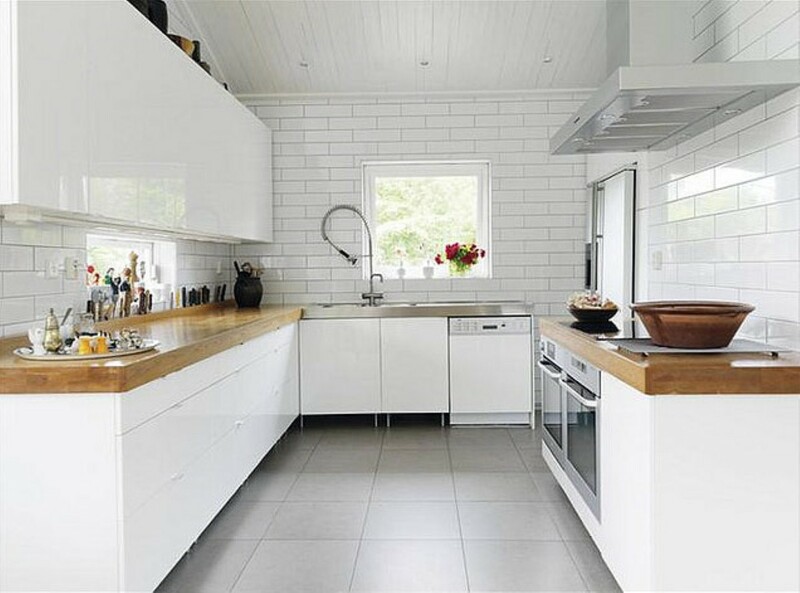 If you want to give a traditional look to your kitchen, showing more of wooden look, you could choose the design of the tiles accordingly, like vinyl wooden tiles. For a contemporary look, you can choose the tiles with the latest designs but tiles with curved designs on them can trap the food materials and oil spills, ultimately giving an untidy look. Although, your personal market research helps you a lot in choosing kitchen tiles but the main thing which matters is choosing the right interior designer in Lahore, who not only has a considerable experience but is also well reputed. Being skilled, he will consider all those factors in view, which a layman mostly overlooks.